It is a great virtue for one to Daven for the Amud on behalf of a loved one who has deceased. At times, there may be several people who desire to Daven for the Amud simultaneously, and therefore the laws of precedence for a Chazan were enacted to avoid dispute. Precedence is given based on one’s relationship to the deceased person for whose honor he wishes to be Chazan; based on the event for why one desires to Daven for the Amud, such as a Yartzite or one who is within his year of Aveilus; and based on membership and attendance within the Shul in which the person desires to be Chazan. These laws were originally brought in the Poskim regarding precedence of Kaddeishim, as in previous times only one person would say the Kaddish and hence laws of precedence for Kaddish was applied. Today however that the widespread custom is for all those who need to say Kaddish to do so simultaneously, the laws of precedence regarding Kaddish is no longer relevant, although it remains applicable towards precedence for being a Chazan. These laws of precedence [even regarding Kaddeishim] are not recorded in the Talmud and were originally brought in the Sefer Haminhagim of the 1400’s, and recorded in the later authorities during the times of the Shulchan Aruch. The source for the order of precedence recorded in these Sefarim is based on the custom incorporated by the communities of that time. Guest: A guest that is not a Shul member or regular attendee does not receive precedence over a Shul member or regular attendee; with exception to if the guest is within Shiva [level 1] in which case he receives precedence over all lower level Chiyuvim. Nevertheless, the custom is to give the guest to Daven for some of the three prayers of that day in case he is of equal or higher level than the member. Son: One who is not the son of the deceased does not receive precedence over a son even if he is of a higher level. Thus one who desires to Daven on the Yartzite of his deceased son or brother r”l does not receive precedence of a person within his year of Aveilus for a parent. One who is within Shiva for a parent receives precedence over all other mourners. One who has a Yartzite for a parent receives precedence over all other mourners that are after Shloshim. However he does not precede one who is within Shiva, in which case the person within Shiva receives the right of precedence. If another mourner is within Shloshim, they are to split the prayers for which they Daven for the Amud on that day. In the event that there are many Yartzites present, the mourner that is within Shloshim is completely differed from the Amud that day. One who is within Shloshim for a parent receives precedence over all other mourners that are after Shloshim. However he does not precede one who is within Shiva, and the person within Shiva receives the right of precedence. If another mourner has a Yartzite, they are to split the prayers for which they Daven for the Amud on that day. In the event that there are many Yartzites present, the mourner that is within Shloshim is completely differed from the Amud that day. 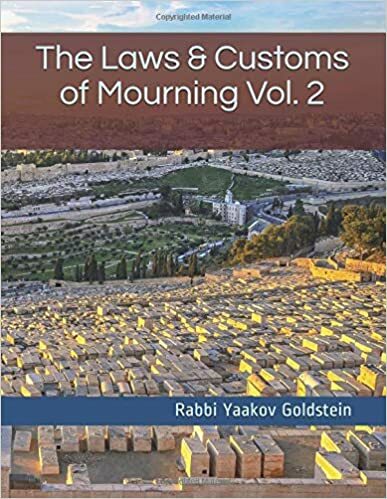 One who is within the first year of mourning for a parent, but past the Shloshim, does not receive precedence over mourners that are within Shloshim or that have a Yartzite. One who is not a Shul member or regular attendee of the Minyan [i.e. a guest], and is of a level that is higher than a Shul member or regular attendee, does not receive precedence over the Shul member with exception to if the guest is within Shiva [level 1] in which case he receives precedence over all lower level Chiyuvim. Nevertheless, the custom is to give the guest to Daven for some of the three prayers of that day in case he is of equal or higher level than the member. A guest that is a member of a different Shul within that city: A guest that comes to a Shul and is an active attendee of the Minyan of a different Shul within that city, does not precede any member of the Shul, even if he is within Shiva. One who is not the son of the deceased does not receive precedence over a son even if he is of a higher level. Thus one who desires to Daven on the Yartzite of his deceased son or brother r”l does not receive precedence of a person within his year of Aveilus for a parent. See Shach ibid; Nitei Gvariel ibid for the prayer given to the guest in this situation.